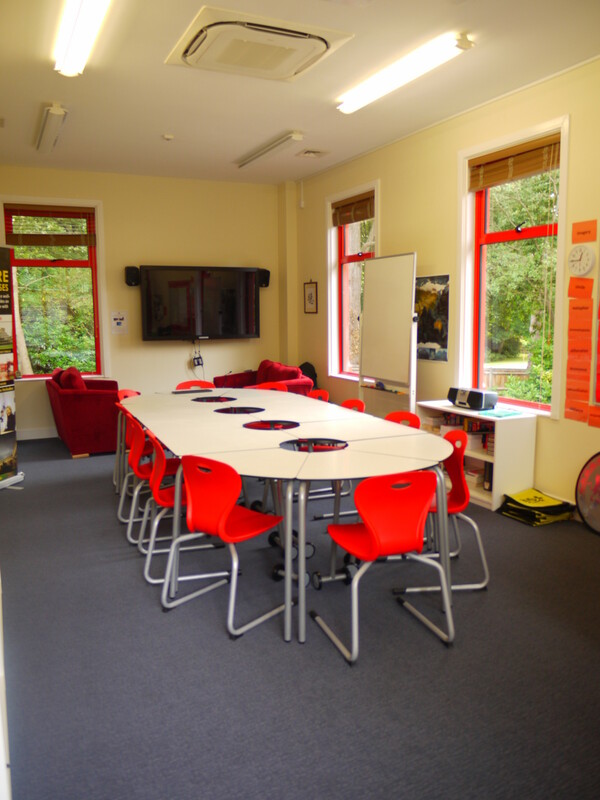 zioxi have been lucky enough to have worked with Wellington College on a number of their recent refurbishment projects throughout the school. 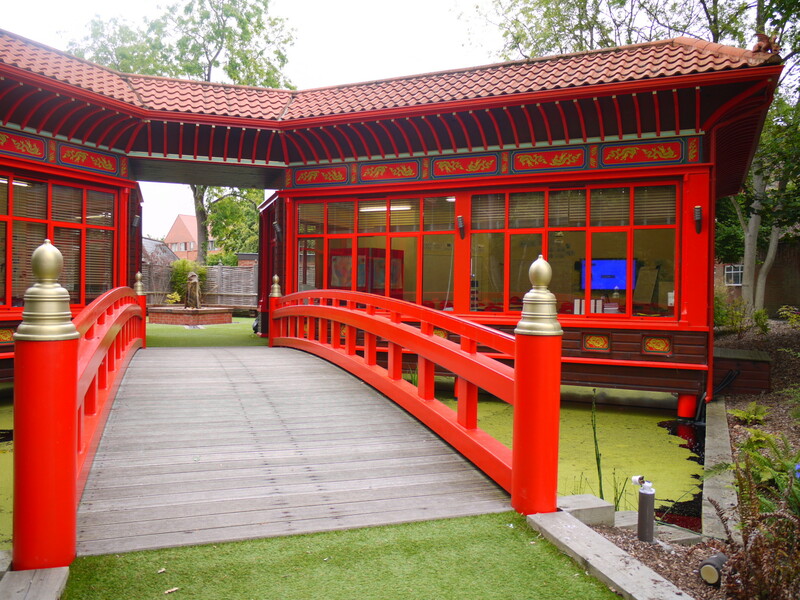 The creation of the beautifully crafted Mandarin Centre reflects Wellington’s interest in Asian studies and is also a large step in Wellington’s commitment to the belief that Asia, and particularly China, will play an increasingly large role in the world economy. 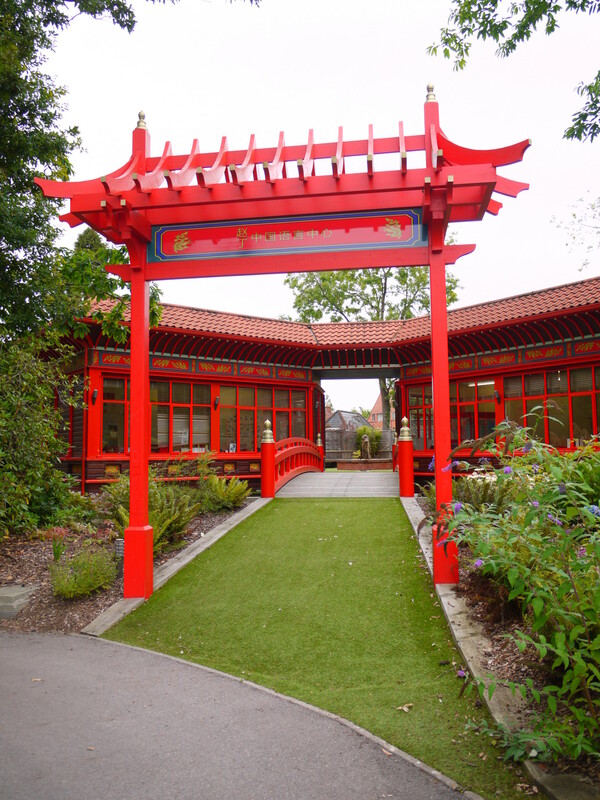 As more of Wellington College’s students are choosing to study Mandarin, the enhanced teaching facility that this beautiful building provides, acts as an ideal environment in which for them to learn. 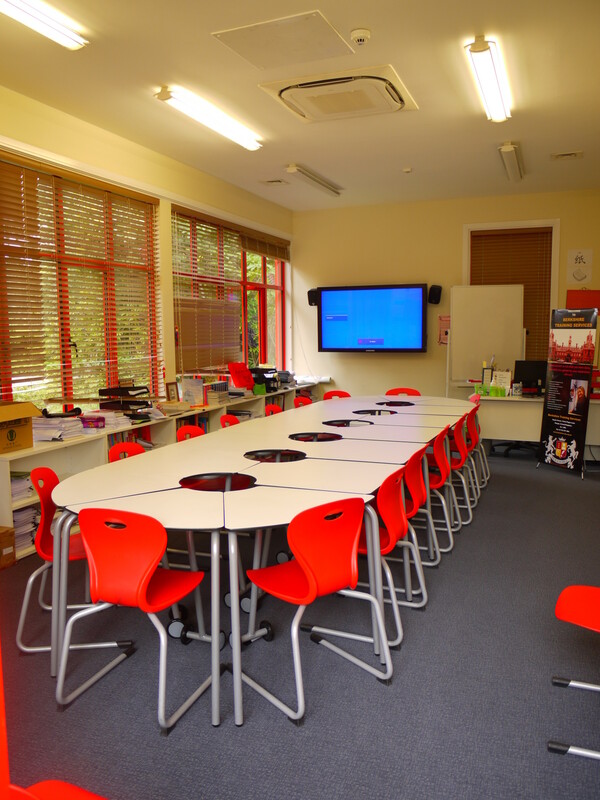 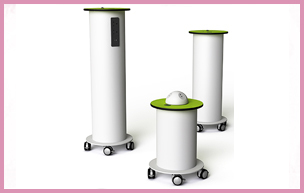 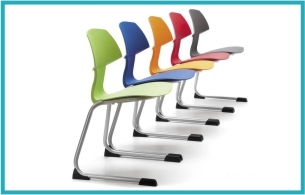 zioxi provided the flexible t41 desk solution throughout all of the teaching areas. 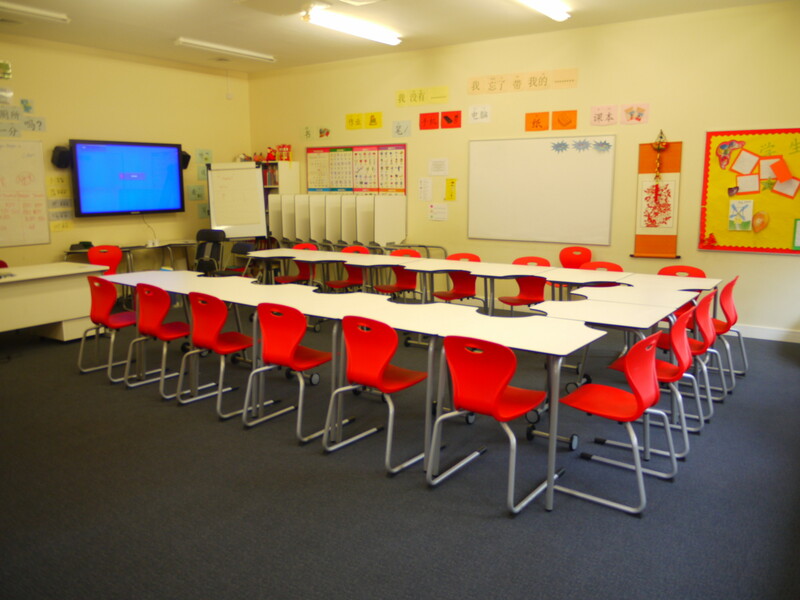 The combination of both t41 60° desks and squarer 180° desks allowed the classroom spaces to be set-up in numerous configurations from small clusters, larger collaborative groups to a conference style. 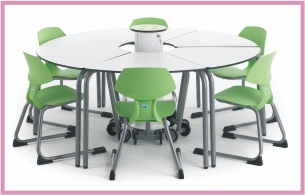 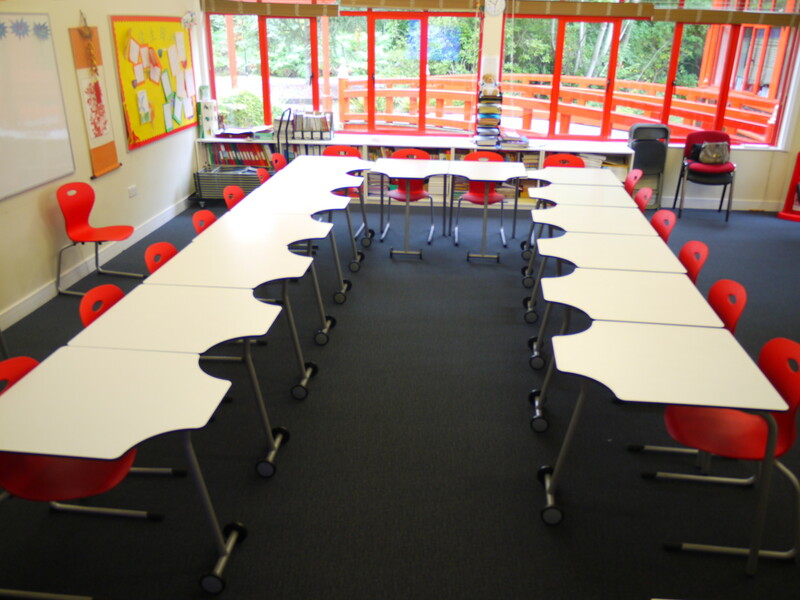 The flip-top work-surface allows the tables to be stacked away vertically, therefore allowing the whole of the classroom space to be easily cleared if required.